As much as we'd like to, we all can't be a part of the Atherton family. While their smooth, speed-hungry gene pool will always amaze and forever elude us, we can put our own mediocre genes to work on rough and rowdy DH trails knowing our grey matter's protected with Fox Racing's ultralight, MIPS-equipped Proframe Helmet. Don't be surprised if it inspires you to send a little harder, whether in your own backyard or deep in the Welsh countryside. 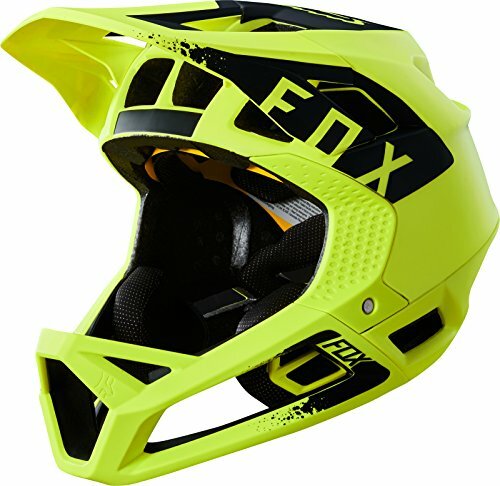 As the lightest DH lid ever made by Fox, the Proframe comes with the same full-face, fixed visor protection of a classic DH bucket--albeit in a more streamlined design that won't leave you with your head hanging after an all-day ride. Its low weight means that even if you ride more towards the enduro end of the spectrum, you won't sacrifice time in a race for upgrading to DH-level protection. Fox also punches 24 Big Bore vents into the Proframe's shell, making sure you don't feel like you're trying to ride in an astronaut helmet when you're grinding it out on a long, rocky ridge climb before a serpentine descent. 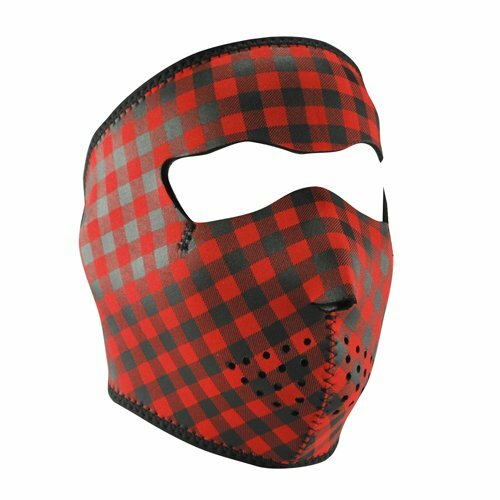 Neoprene face mask features full coverage of the face and ears. Stretchy neoprene material is warm and water resistant. Lined with black stretch nylon trim. Patterns are reversible to solid black material.